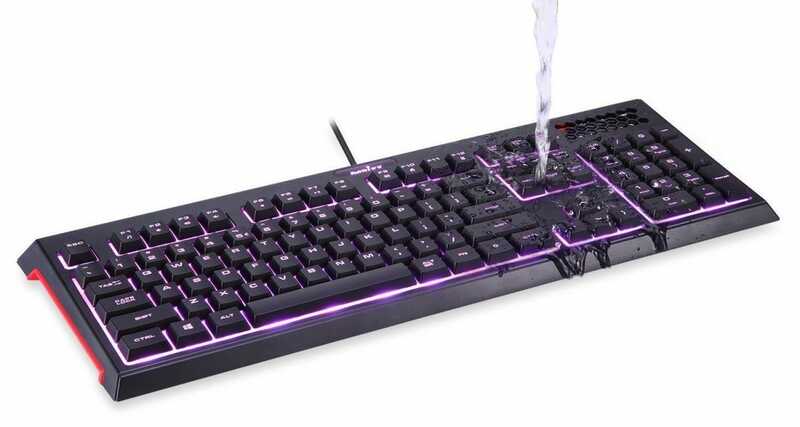 Whether you’ve already killed your keyboard with a coffee spill or you’re a self aware klutz and you know it’ll happen eventually, these waterproof keyboards will not only save you from the spills but make messes of all kinds easier to clean up. Whether you’re the messy one, you’ve got clumsy teens that somehow get cola all over the family computer, or a toddler that combines their games with juice and cookie crumbs—we’ve got a waterproof keyboard for you. 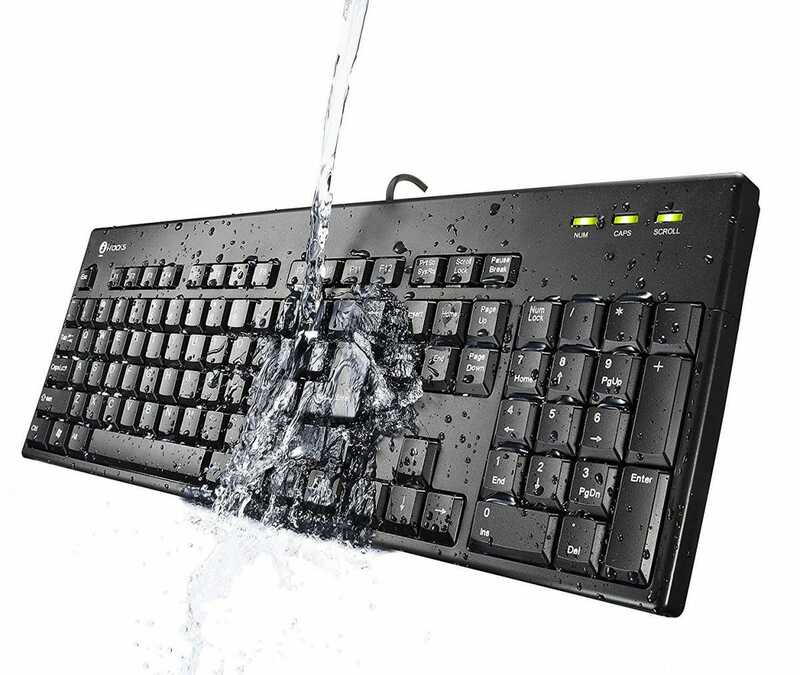 Plus, if you’re a a low-key germaphone (or, hey, maybe high-key, we’re not judging), these keyboards can be fully submerged in water in order to really give them a good soapy wash down. Among our picks you’ll find keyboards that are best in class, budget friendly, and even gamer-oriented with flashy LEDs and super responsive keys. If durability and functionality are your top concerns, then the Logitech Washable Wired Keyboard is for you. With the ability to withstand both heavy typing and washing, it can handle more than your average keyboard. It’s dust-proof, so if you’re concerned with the life of your keyboard being affected by dust, crumbs, or other particles, this keyboard can handle it. It’s also spill-proof, so you can knock your soda over and it’ll be just fine—just wash it off! You can fully submerge it in water and let it dry overnight for full use the next day. If you want a durable keyboard that doesn’t annoy you with loud clicky keys, then this keyboard is a great fit. The quiet Logitech keyboard has a smooth keystroke action with no loud click from bottomed-out keys. The keyboard itself has a contemporary look, with sleek design that stands out from the basic black keyboard that probably came with your PC. This 104-key keyboard doesn’t need any software, either—just plug and play. And with 12 convenient hotkeys, you can launch a web search, access email, pause music, and more. For $19, you can get a generic 104-key keyboard or you can get this waterproof model—framed that way it’s a bit of a no-brainer if you’re in the market for a waterproof keyboard. The I-Rocks Washable Keyboard has a bargain basement price for a keyboard in general but a particularly great price for a waterproof one for sure—the quality and waterproof-aspect makes this the best bang for your buck in our roundup. With drainage holes in the base of this durable keyboard, your spills are no match for the I-Rocks. It even comes with a brush for really cleaning deeply between the keys. Speaking of washing, the keys are engraved (unlike many cheap keyboards that just have the letters painted on) so that the letters will last a long time without fading from cleaning or typing. The only drawback to this particular keyboard is the small backspace key that might throw off touch typists used to a traditional double-wide backspace key—but if you need a waterproof budget keyboard it’s tough to beat the price. Don’t let spilled your Mountain Dew ruin your carefully planned raid. The Perixx PX-1900 is the key to not letting the folly of fumbled soda ruin your gaming experience. 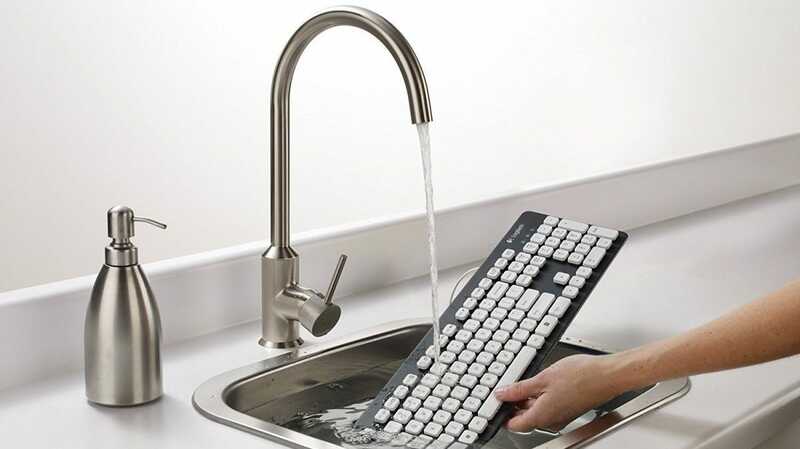 You’ll be able to clean any sticky sodas or drinks from your keys easily since you can fully submerge this keyboard in water for up to 30 minutes to wash away even the stickiest of messes. Anti-ghosting keys ensure your rapid fire key strokes aren’t lost in the fray and with the Perixx PX-1900’s 12 multimedia hotkeys, you can multitask like a champ.While the Perixx PX-1900 isn’t an actual mechanical keyboard, its scissor key design makes your keystrokes “rebound” to provide a steady and stable keystrokes. It can even withstand over 30 million key presses, so you can battle as long as your guild needs you. 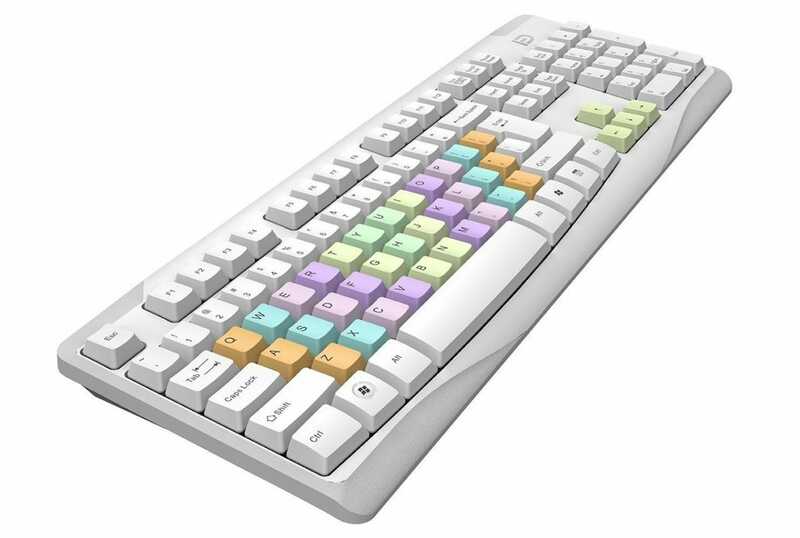 Lastly, this keyboard has the option to choose between 7 backlight colors, so you can have a little fun with your games, and 4 brightness settings, so you can play at any time of the day and still see the keys clearly. 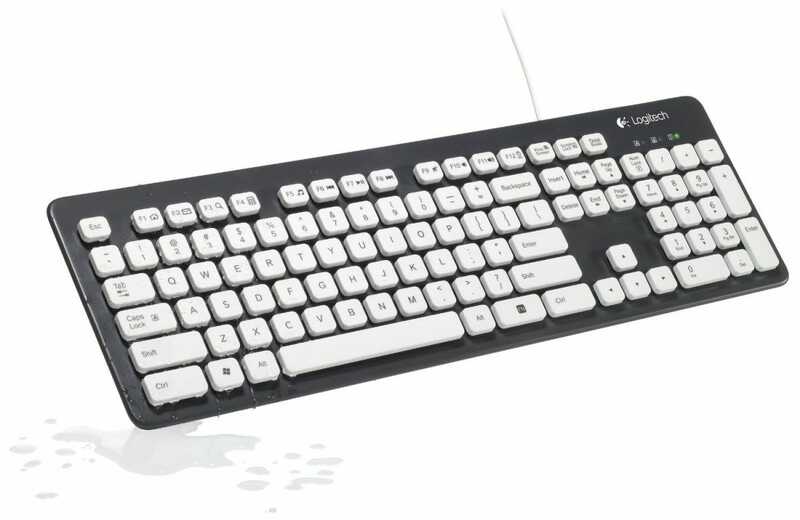 While the LeaningTech LTC keyboard can be used for gaming (with its high quality quick response, anti-ghosting keys, and hotkeys), it’s also great for surfing the web and doing work on your computer. It not only has great performance, its design provides you with many different modes and a sleek exterior. You can press the function key plus any number one through nine to get a different backlit mode: anything from solid colors to rainbow-colored arrow keys to flashing to sound control modes. With a total of nine different options, you can have your keyboard lights dance with your music with the sound-reactivity mode, or you can use a solid color to light up your room at night. 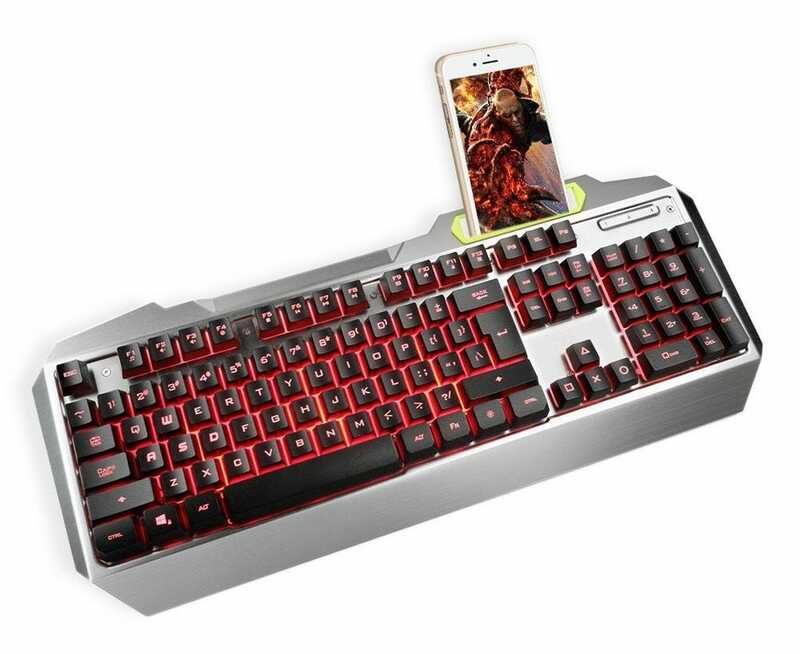 The outer panel of the LeaningTech is an aluminum alloy which is both sleek and, when coupled with the key membranes, makes for a water tight keyboard. Lastly, this design includes a phone holder in the top right corner of the keyboard so you can make video calls or watch for notifications with your phone propped up for easy use. Our last pick is the FD Wireless Keyboard—great for portability and convenience. You just need to plug the nano receiver from the keyboard into the USB port of your computer (no drivers needed), and you’ll have reliable connection for up to 10 meters away. The waterproof keyboard can handle all spills, whether you’re working and you knock your coffee over, or you’re traveling and your water leaks in your bag. This pick includes both a keyboard and a mouse (either in black or in white with spashes of color), both of which have power-saving modes and can go months without having to change the batteries in either. To top it off, the design of the keys have concave rounded edges to make the keyboard easy and more comfortable to type on. Overall, the FD Wireless Keyboard is going to be your best pick for a water-resistant wireless keyboard, especially considering how uncommon waterproof wireless keyboards are. If you’re buying a new 4K TV this year, you’ll naturally want to watch some beautiful 4K content on it. The best possible picture quality can be found on Blu-ray discs, but the discs and the players are costly. If you want 4K content on the cheap and right now, streaming is fast and cheap. Here’s how to get started without spending a ton.